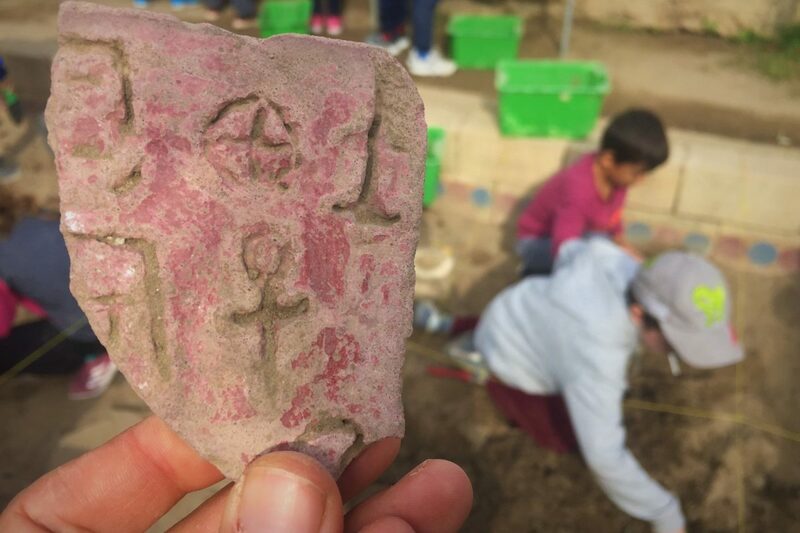 The educational program of the simulated archaeological excavation gives the opportunity to experience the scientific excavation process, documentation and management of the archaeological finds and understand how archaeologists gradually reconstruct the past, based on the findings and their contexts. 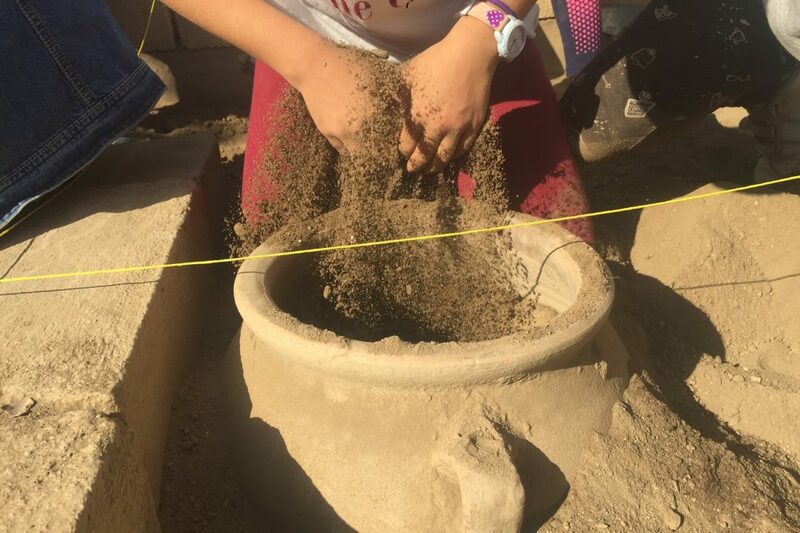 In the process of excavation, children practice various aspects of contemporary archaeological practice (backfill removal techniques, water and dry sieve, findings sorting / classification etc.) and as the sets of findings are revealed, the excavation process resembles the gradual solving of a mystery.